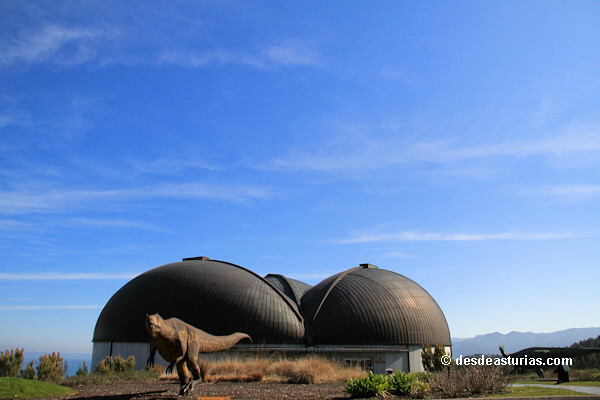 The Jurassic museum of Asturias (MUJA) is located in Rasa de San Telmo, in the municipality of Colunga, near the AS-257 road at Lastres. 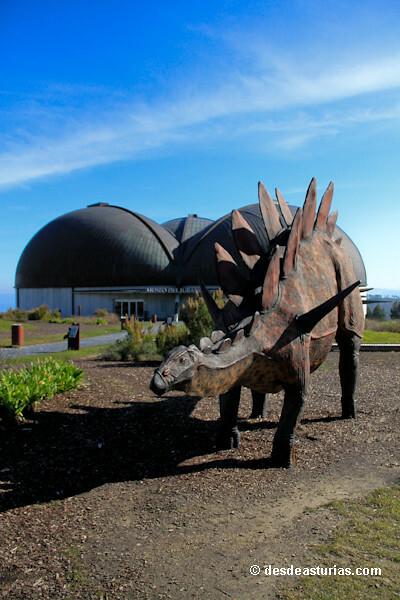 From this place one can admire the beautiful sights of the Asturian Eastern Coast and this museum becomes a central point in the middle of this Jurassic landscape. 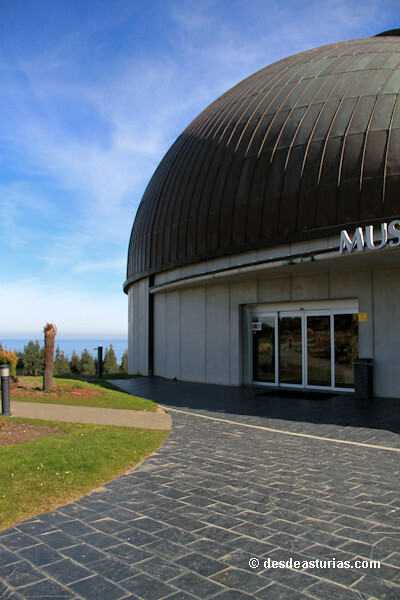 From this museum a wide maritime view of Asturias is widely opened in front of your eyes. 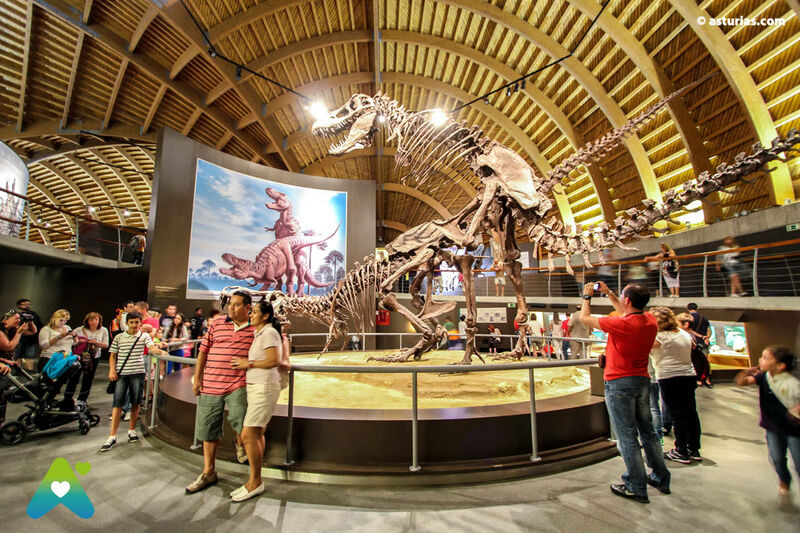 Its original architecture in the shape of a dinosaur’s footprint make it an attractive place to visit. 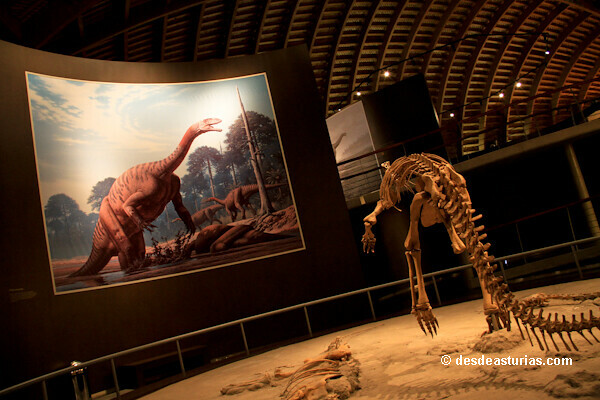 Once inside your attention is turned to extensive information regarding the differentstages of our planet’s existence: The Mesozoic including the Jurasic period when dinosaurs lived. 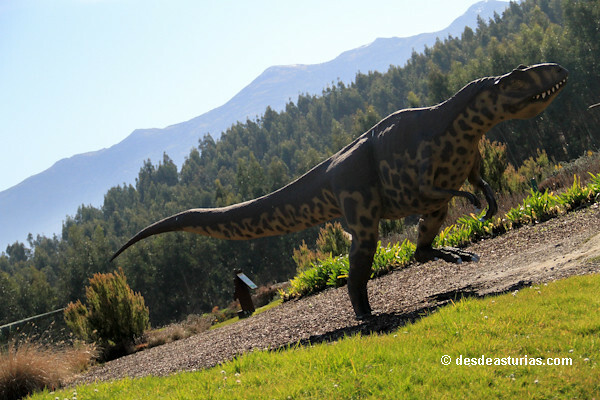 Along the high corridors, one can take a look at more than twenty replicas of what roamed Earth before humans did. 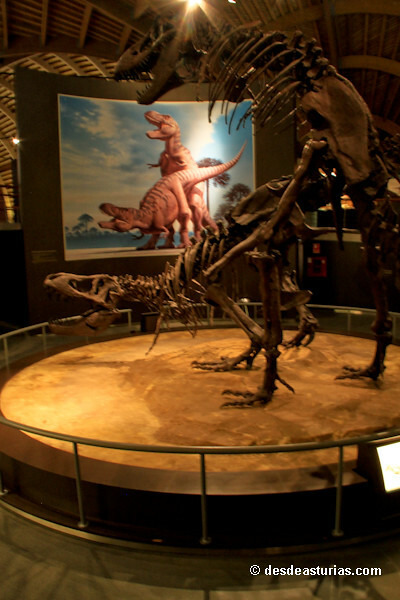 The central scene shows a couple of Tyrannosaurus Rex copulating. 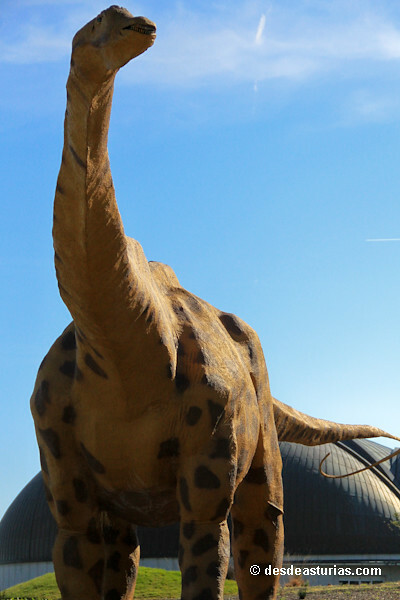 They are over 12 metres high and if they were real their weight would go beyond more than 10 tons. 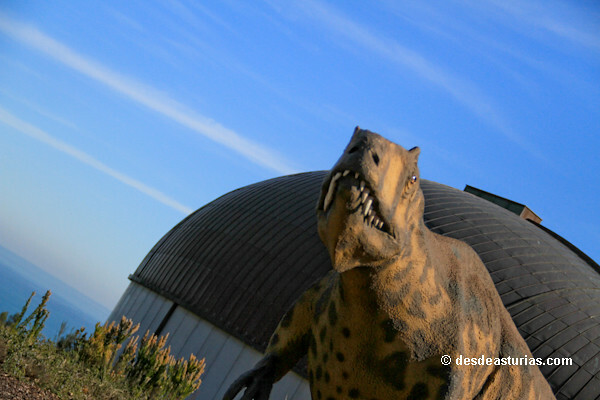 One can also find replicas of the Gigantosaur, the biggest known of the carnivorous dinosaurs, Argentinan of origin. 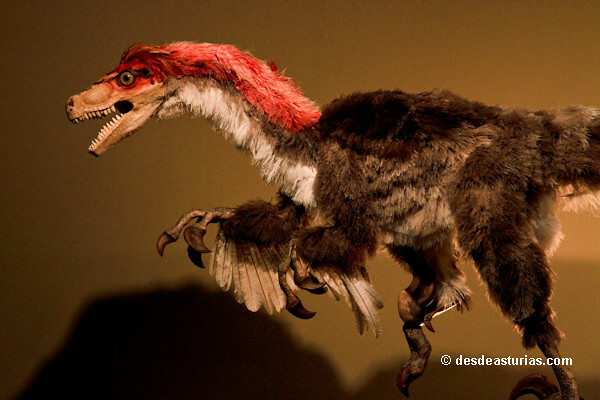 It is also possible to see a Deynonichus with huge claws,a Jurassic animal married into the family of birds being at the same time the paradigm of the predatory animals. 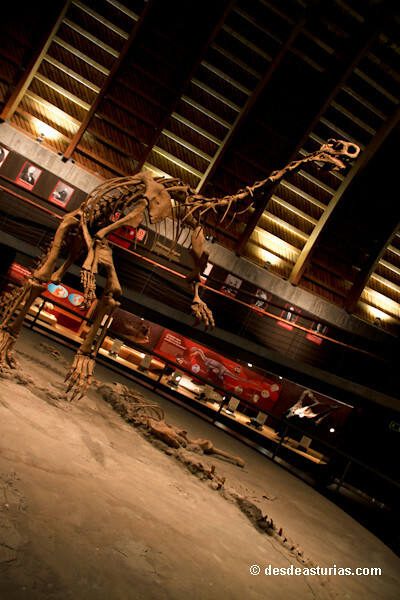 The huge size of these animals demonstrate the greatness of this museum, whose first floor, together with ground floor and the basement totals to 5000 square metres. 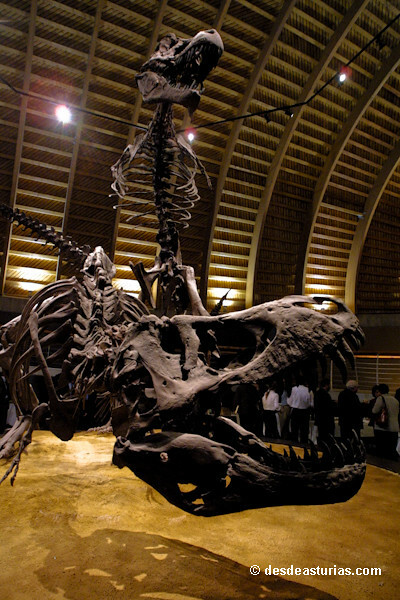 The greatest of dinosaurs is also shown in three wide vaults that reach the ceiling of the building. A threatening claw reminds us of the danger of the dinosaurs. 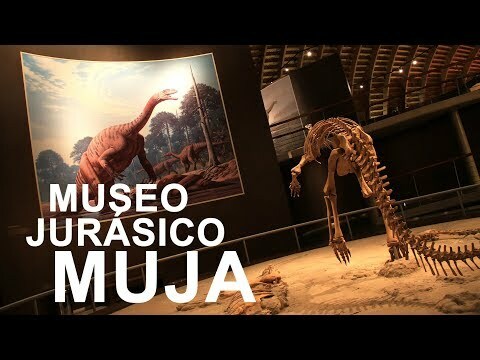 What will you discover ta MUJA? 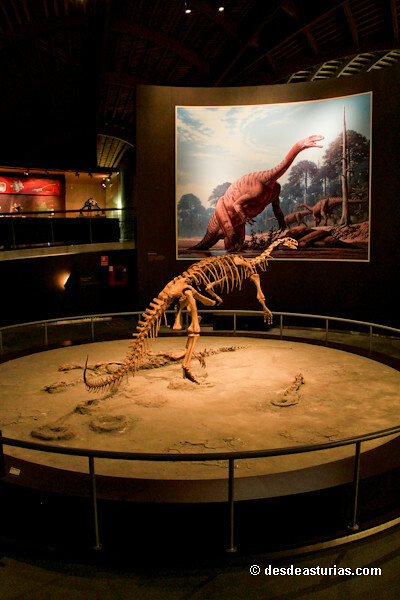 The ground floor and first floor are divided into three rooms according to the different divisions of the Mesozoic (Cretacic, Jurassic and Triassic). Inside the basement more than 400 tons of fossils from the Jurassic coast are still waiting for the first classification before being shown in the museum. On the first floor one can find a temporary exhibition room, a waiting room, toilets, a private room for the administration and direction of the museum, and the workshops of the building. 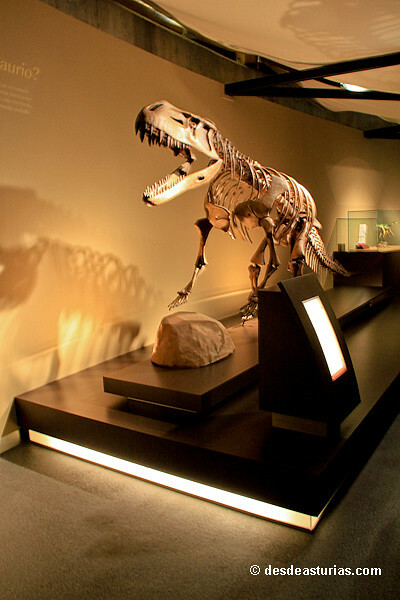 There is also a library, a laboratory and an investigation room for the restoration of paleontologic material. 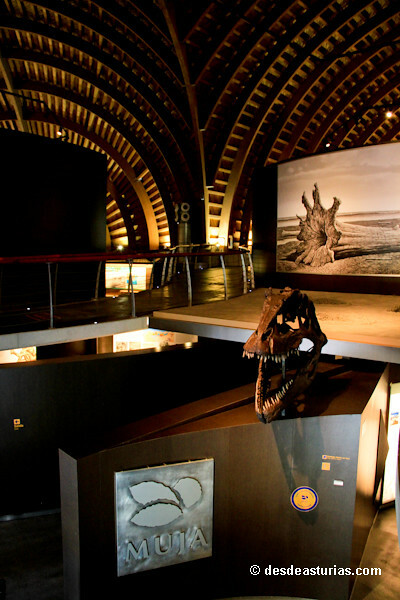 On the ground floor, one can find the hall, an audio-visual room and inside,the permanent exposition room with graphic references of fossils preceding the Mesozoic, pieces of the Mesozoic and important pieces of the Jurasic. Also in this floor is a teaching room, with a capacity of 100 people. 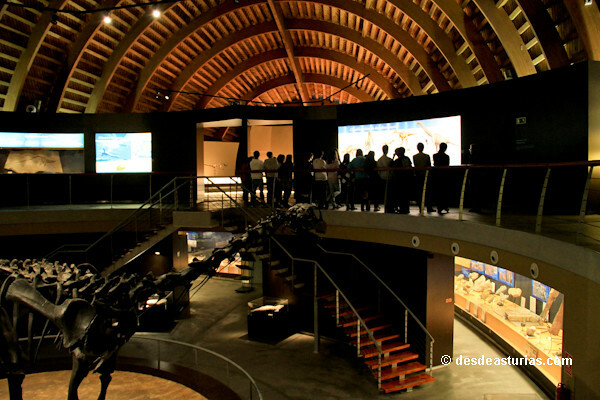 This room is used for scientific talks and the important divulgation of MUJA: in this salon, one can watch films in two or three dimensions, the projection of slides, transparencies and other tools to teach courses. 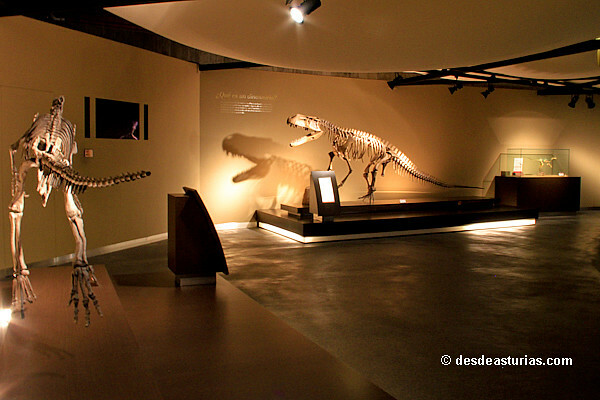 On the first floor three exposition rooms are open to visitors, also dealing with Jurassic information. The passing of time and its contents are the most important aim of MUJA. 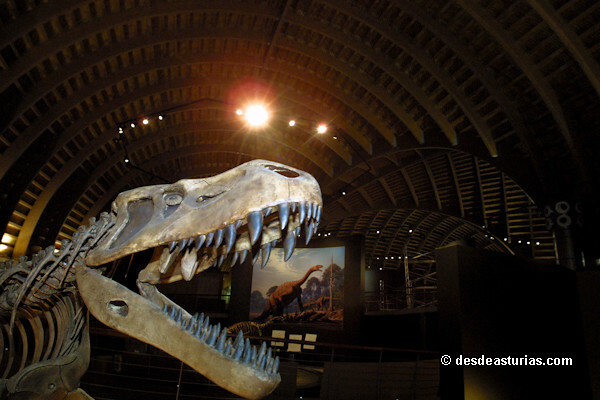 A great temporary secuence covers the three mayor periods of the Mesozoic: The Triassic(250-205 million years before our era), the Jurassic(205-140 million years) and the Cretacic(140-65 million years). 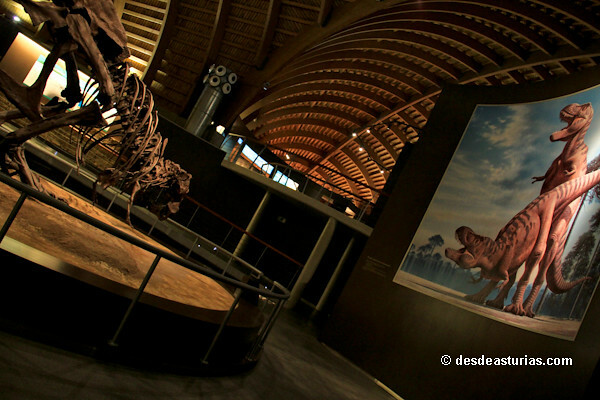 There is large amount of attention paid to the dinosaurs living during the Mesozoic and the different transformations of the European geography of this period, including a module in order to explan the geological history of Asturias. 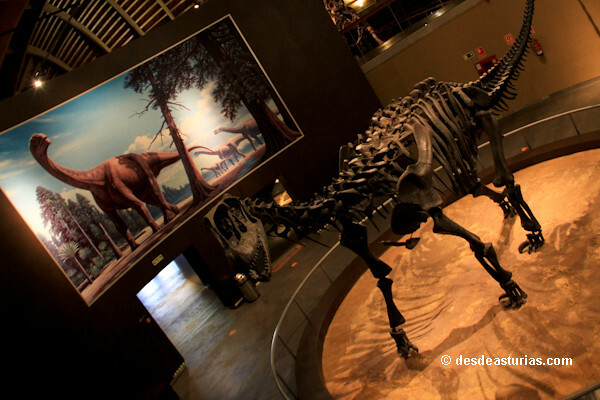 The Asturian period contains the last 600 million years of life on our planet. 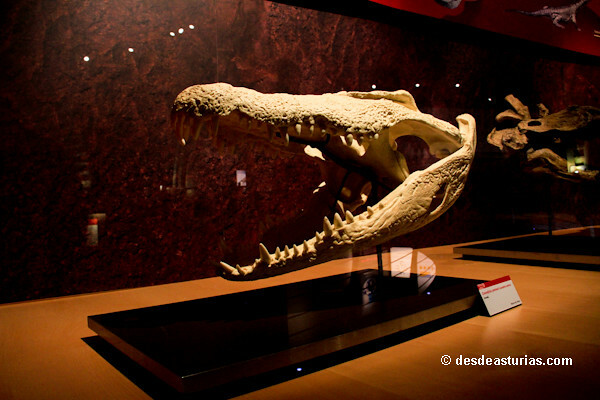 It focuses on the Coastal Jurassic, from the marine levels forming the city of Gijón. 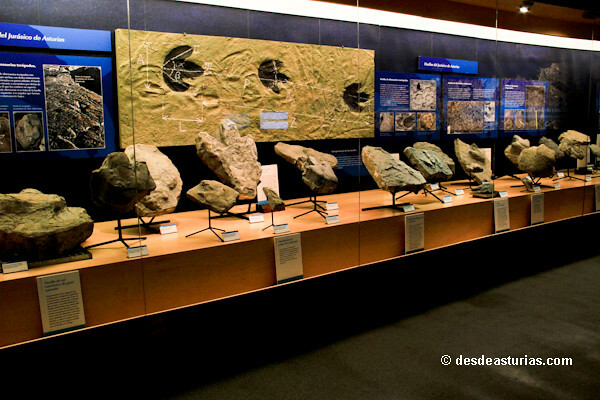 There is also an introduction to the first 3500-3800 million years of life of our planet. 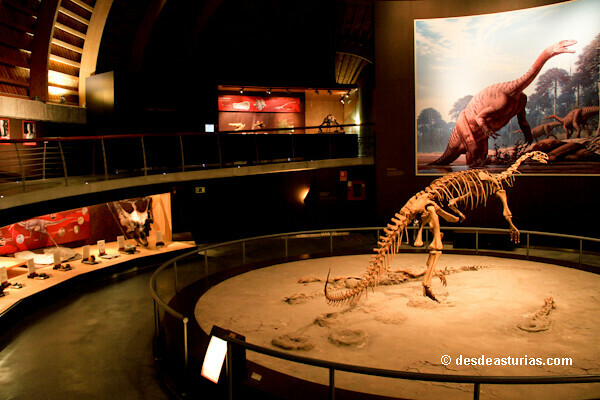 Here in the museum there are different representations of the two periods following the Mesozoic (Terciario and Cuaternario 65 million years). 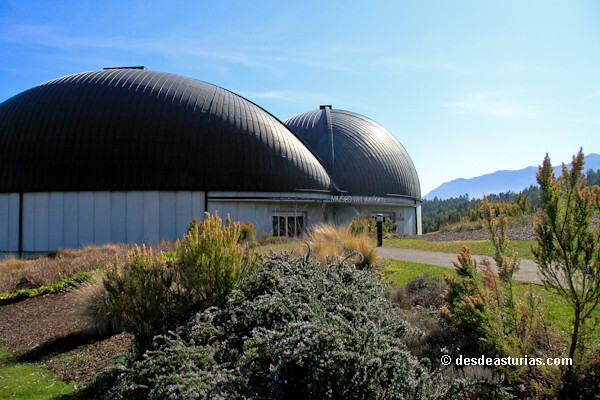 The goal of this museum is to illustrate the determinant factors involved in the current composition of life of our planet. 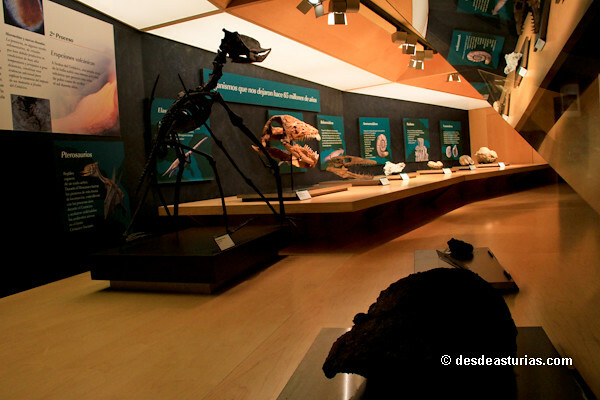 The main collection of MUJA consits of 8.000 fossils from the Asturian Jurassic. 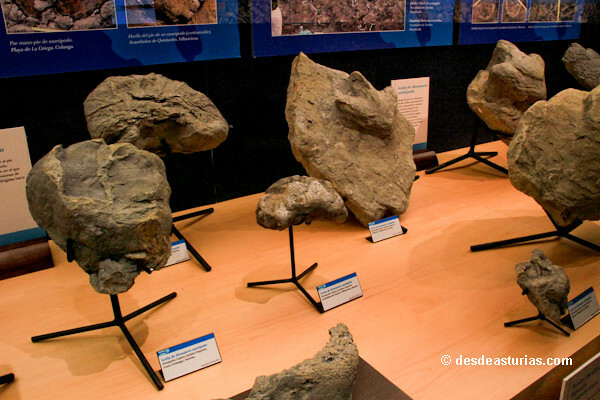 This collection is divided into 4 parts: the first one with 150 traces taken from the coastal region, the second one with 200 fossils of dinosaurs, cocodriles, tortoises and fish. 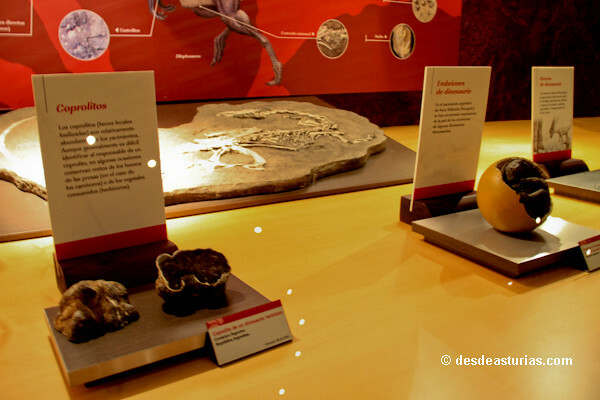 The third one contains 103 fossils of vegetables and 11 fragments of nuge tree trunks and the fourth consits of more than 6000 fossils of the invertebrates. 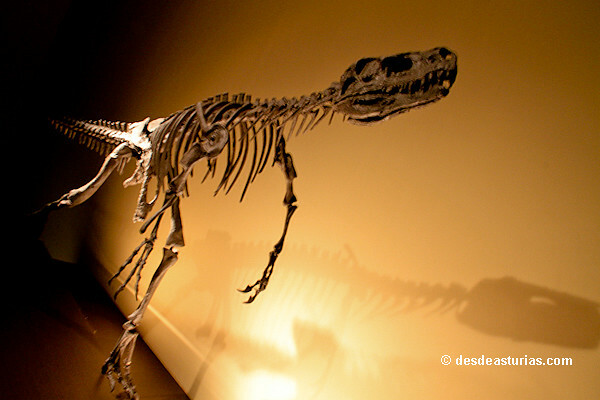 This collection has grown by up 30 large pieces a year, and more than a thousand small ones. 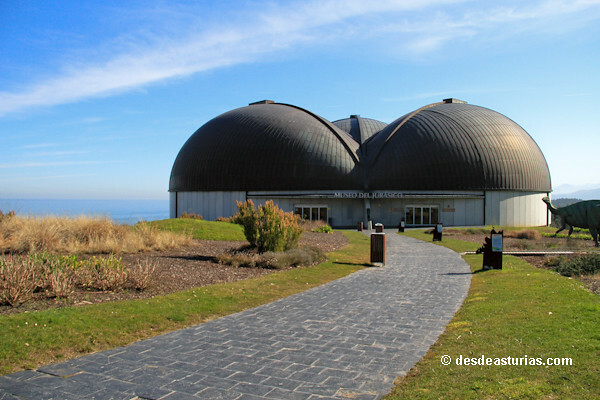 The Asturian Jurassic coast has been asking for a museum of this kind for many years in order to give special relevance to the important rests found in this area. Currently, investigators are claiming for more means in order to go on with their investigations. 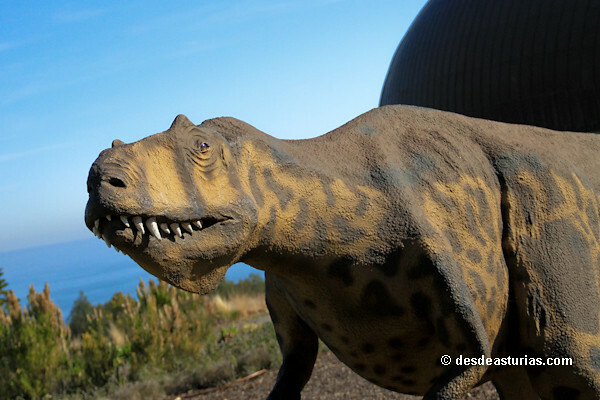 They also ask for an official support in order to receive for this coast the title of the best deposit of the European Jurasic period. At the moment, this coast is awaiting the distinctive title of Humanity Heritage given by the UNESCO. Reduced: 4,70 €. 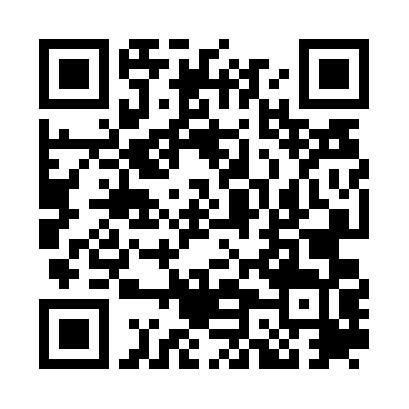 Groups, kids from 4 to 11 years old, large families, people with disabilities, over 65 years and ICOM members. 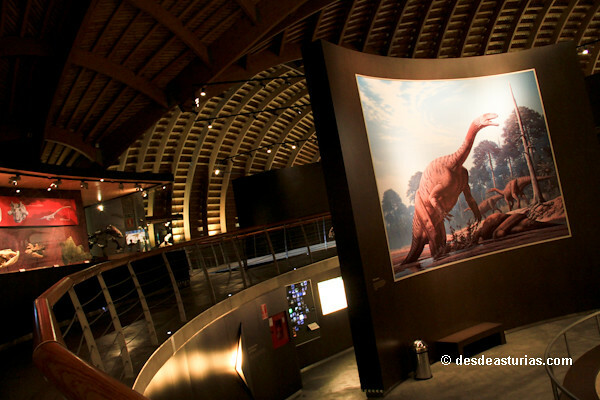 Workshops: 5,75 € general, 5,15 € groups, museum’s entry included. 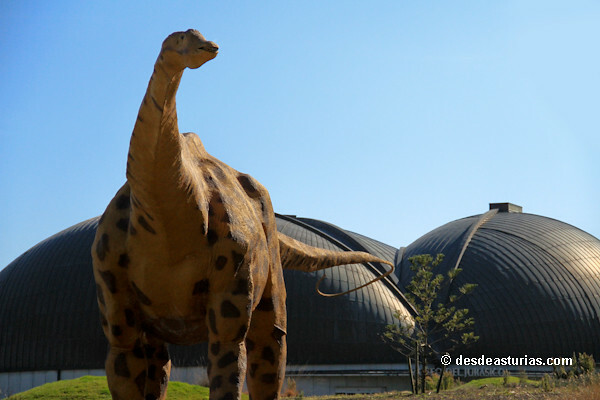 · On July and August its open every day from 10:30 to 20:00 hours. 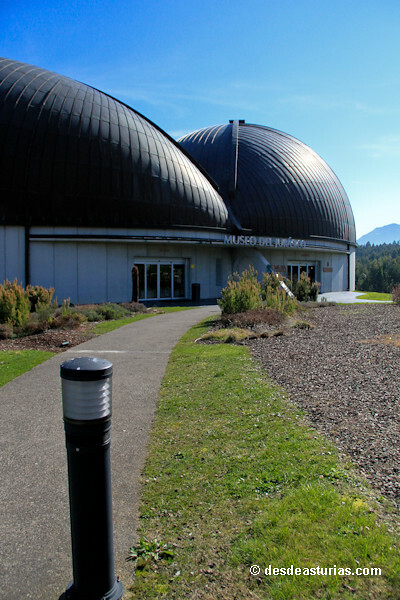 Closed Mondays and Tuesdays, except on days 21, 22, 28 and 29 March, May 2, Oct. 31, Nov. 1, and 5 and 6 December. Closed: from 1 to Jan. 31, and 24, 25 and 31 December. Wednesday, Thursday and Friday: 10:00 to 14:30 and 15:30 to 18:00 hours. Saturdays, Sundays and holidays, and from 1 to 11 September: from 10:30 to 14:30 and 16:00 to 19:00 hours. For the A-8 is reached Colunga, from here take the AS-257 (Colunga - Lastres). The MUJA is the height of PK 1.5; near the beach of the Greek.